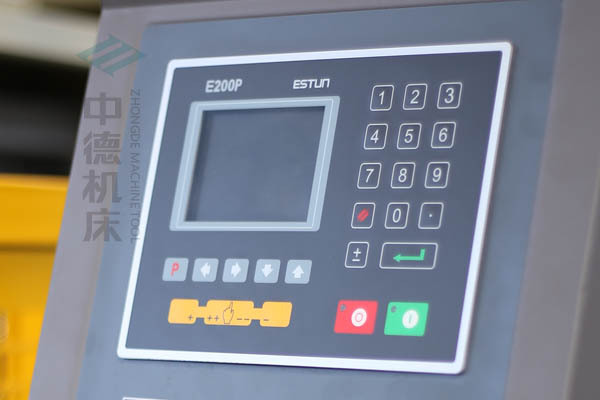 ZDPK-12540 (WC67K-125/4000) Hydraulic CNC Press Brake with E200P CNC controller - ANHUI ZHONGDE MACHINE TOOL CO., LTD. 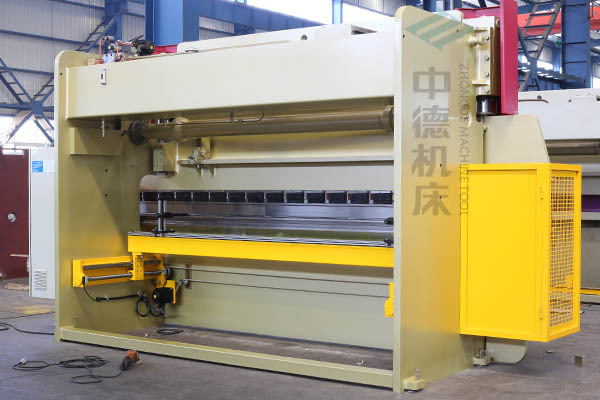 The model of this hydraulic cnc press brake is ZDPK-12540 (WC67K-125/4000),E200P CNC,with high performance-price ratio,reliable performance and easy operation;E200P controls X,Y axes to achieve high production efficiency and parts of precision;X axis with ball screw,linear rail,servo motor and steel synchronous belt,can improve X axis positioning precision and speed. 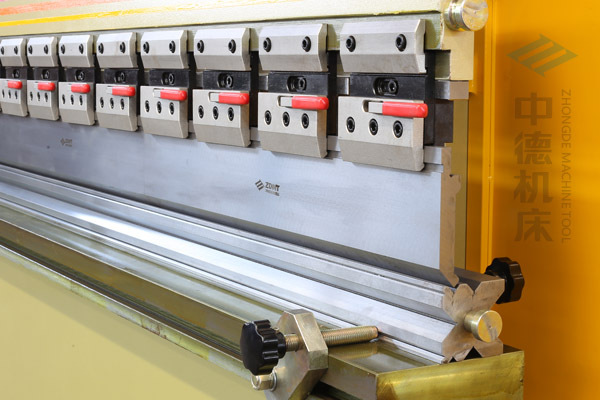 ● Strong rigid torsion bar design,ensuring the synchronous movement of ram stroke. ● Built-in mechanical stop,ensuring an accurate positioning of ram stroke. 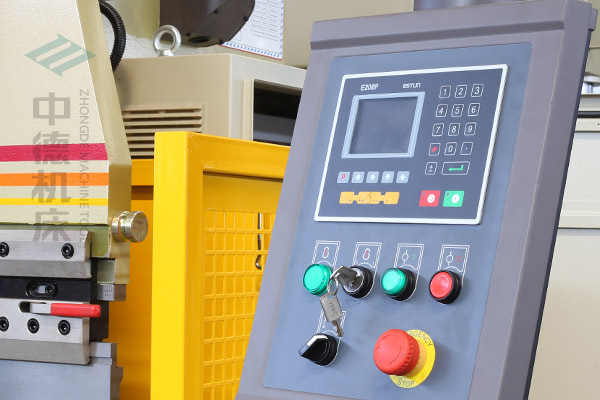 ● E200P controls X,Y axes to achieve high production efficiency and parts of precision. 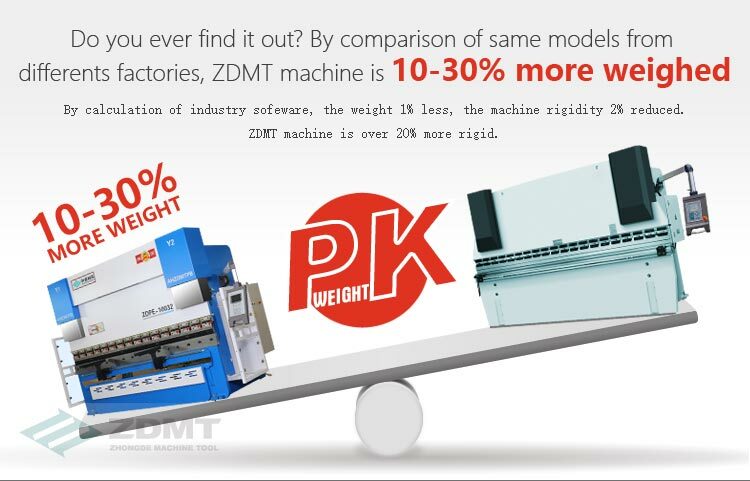 ● E200P CNC,with high performance-price ratio,reliable performance and easy operation. 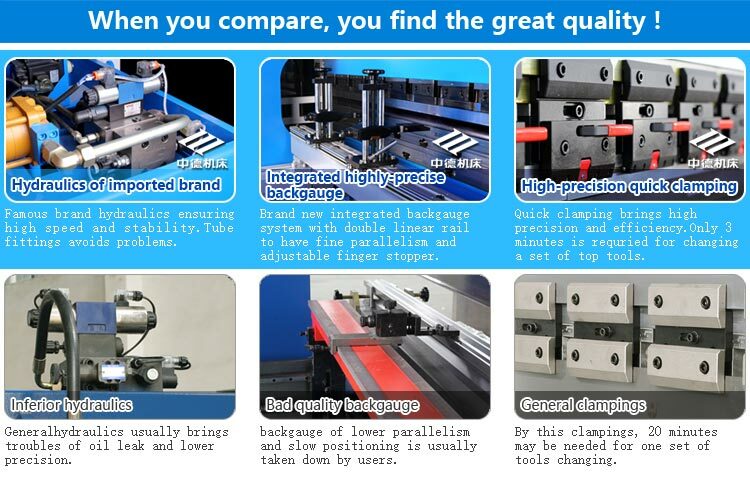 ● High precision quick clamps,it is for easy operation of removing and changing upper punch tools. ● Servo motor is used to get a rapid and accurate positioning. 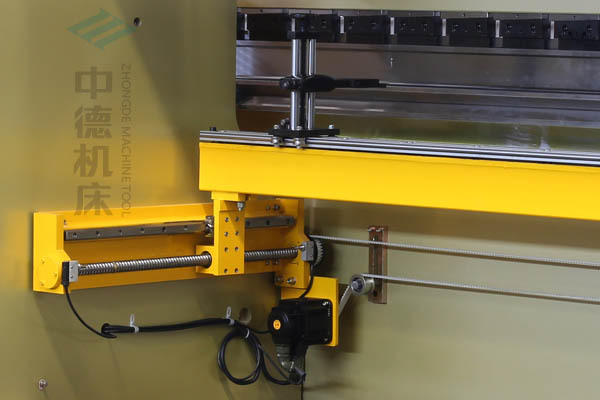 ● X axis with ball screw,linear rail,servo motor and steel synchronous belt,can improve X axis positioning precision and speed. 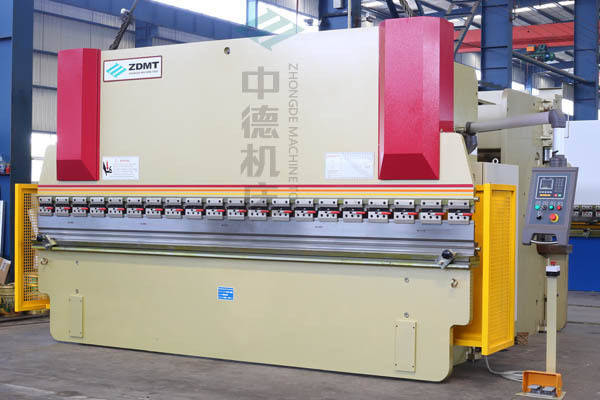 ● Front view of ZDPK-12540 hydraulic plate bender machine. 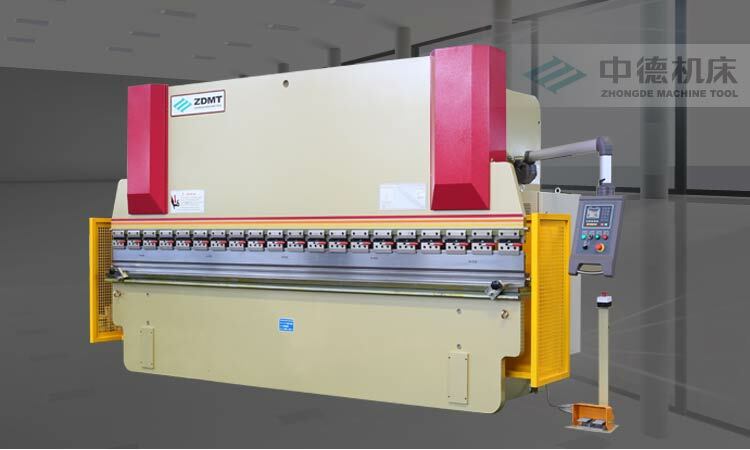 ● Rear view of ZDPK-12540 hydraulic plate bender machine. 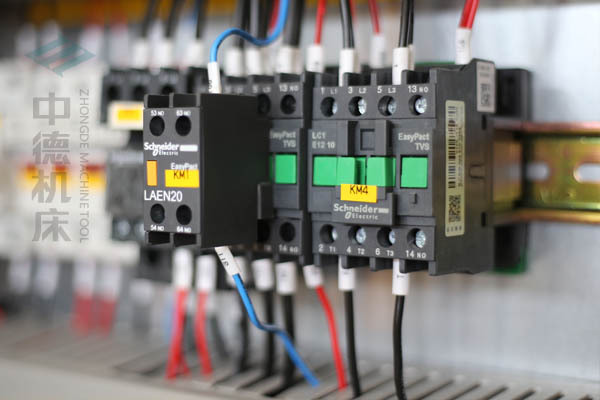 ● With high quality and reliable performance electrics,stable and durable. If you would like to know some more details about this product, please leave a message with your contact information, we will reply you at earliest time!